Since the introduction of Capital Gains Tax (CGT) in 1985, the family home has retained its ‘sacred cow’ status as being exempt from this tax. Unless part of your home is used for income-producing purposes, there is no CGT payable on the profit you make selling it, no matter how high that profit is. In some other countries, such as the USA, it is possible to pay CGT on the sale of a principal residence but they also allow you to claim interest on your mortgage as a tax deduction. So I suppose it is a two-way street. In addition to having no tax payable on the profit of the sale in Australia, you are also unable to claim a capital loss if you lose money selling your home. For those of us lucky enough to sell their home for a small fortune (i.e. anyone living in Sydney) this is fantastic news. For those of us who bought in a regional area at the height of the mining boom – the outcome might not be so rosy. So, for better of for worse, the family home is exempt from CGT. 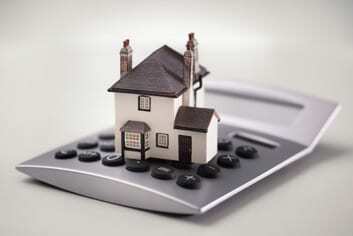 For the majority of us, we are also unable to claim the interest cost on our home loan as a tax deduction. What you might not know, is that there is a small group of taxpayers whose circumstances allow them to ‘have their cake and eat it too’ when it comes to the tax benefits relating to their home. The tax legislation allows you to maintain the CGT exemption on your main residence if you have a ‘temporary absence’ for up to 6 years, as long as you are not claiming another property as your main residence at the same time. Let’s explore this by way of example. Samantha is 25 years old, lives in Brisbane, and works in the fashion industry. She moved out of her parents’ home two years ago and bought an apartment in West End to be close to work. As she has only lived there for a couple of years she hasn’t made much of a ‘dent’ in the home loan, so the outstanding debt is still quite high. Samantha gets the offer of a lifetime for ‘dream job’ down in Melbourne so she decides to ‘go south’ and enter a shared accomodation arrangement in inner-city Richmond. She decides to rent out her own apartment in West End to help cover the mortgage repayments. She doesn’t want to sell it as it hasn’t really had time to go up in value yet, and she feels she will probably move back ‘up north’ at some time in the future. In Samantha’s tax return she has to declare the rent as income. However, she can also claim all of the outgoings relating to the property as deductible expenses. As the mortgage is only 2 years into 30-year term, her interest costs are still quite high so she ends up being ‘negatively geared’, i.e. her expenses exceed her income and the ‘loss’ can then be applied against her other taxable income, resulting in a significant tax refund. As long as Samantha is not claiming another property as her main residence (for tax purposes), she can maintain the exemptions for up to 6 years during this ‘temporary absence’ from her West End property. If Samantha decides in five years’ time to move back into her apartment, then because she is within the 6-year exemption period she will not be liable for CGT when she eventually sells the property. She has enjoyed the tax benefits of negative gearing, without the usual CGT consequences. So what happens if Samantha maintains her absence from the property for a continuous period of 10 years? In the instance she is still entitled to the 6-year exemption. She ends up paying CGT effectively only on the portion of the gain that relates to the other 4 years. It is worth noting that there is no obligation for Samantha to move back into the property to get the exemption. It is also worth noting that Samantha can do this on more than one occasion. There is nothing to stop her from being absent for 5 years, moving back home for a year and then having another 5-year absence – all without CGT. Of course the ATO is always on the lookout for anyone playing ‘silly-buggers’ to avoid tax. They will always assess the facts relating to each case to ensure the taxpayer has not unfairly ‘engineered’ their personal circumstances just to get a tax benefit. There are a number of different scenarios in which taxpayers may reap the benefits of the 6-year exemption. You might move back in with your parents. You might decide to move into shared accommodation to lower your outgoings. You might commence a relationship and decide to live at your partners’ place, while renting out your former home. You might decide to work interstate or overseas for a couple of years, rent out your home in the meantime, while you rent accommodation near the new job. You might get a divorce and find that the house is too big for you to manage on your own. You might enter into a long term live-in care arrangement for a sick or elderly relative, living at their place to provide constant care. There are many legitimate circumstances under which this benefit can arise. Like a lot of these complex issues, it is always beneficial to get advice before you make any change to your circumstances. We don’t suggest that investors ever try to engineer their personal circumstances to achieve these tax benefits. However, if you find yourself in these circumstances, you will benefit from receiving personal financial advice from an appropriate professional.